Jecinta Morgan. "Differences Between Logistics and Supply Chain." DifferenceBetween.net. February 5, 2018 < http://www.differencebetween.net/business/differences-between-logistics-and-supply-chain/ >. 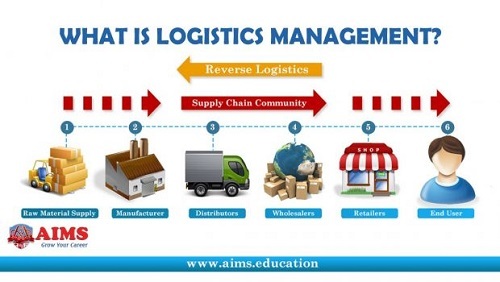 This article gives brief idea of logistics and supply chain management. Thank you. Cooper, Martha C., and Lisa M. Ellram. "Characteristics of supply chain management and the implications for purchasing and logistics strategy." The international journal of logistics management 4.2 (1993): 13-24. Lambert, Douglas M., Martha C. Cooper, and Janus D. Pagh. "Supply chain management: implementation issues and research opportunities." The international journal of logistics management 9.2 (1998): 1-20. Lambert, Douglas M., and Martha C. Cooper. "Issues in supply chain management." Industrial marketing management 29.1 (2000): 65-83.